Ukraine International Airlines (UIA), the country’s national carrier, is to slow down its expansion plans in order to stabilise its financial performance and climb out of the red. “We are proclaiming 2019 as the year of stabilisation,” Yury Miroshnikov, UIA’s president declared at a Kyiv press conference. “We are aiming at securing [our] positive [financial] results of the year. 2018 was the second loss-bearing year in a row for our airline, but this is the price we paid for developing our network, growing our traffic, renewing and expanding our fleet in very unfavourable economic and geopolitical conditions, Miroshnikov pointed out. He revealed that among the negative factors that affected the airline’s revenues last year were fuel price spikes, the higher costs of air traffic management services in Ukraine as well as ‘geopolitical tensions’ – referring to the current troubled Russo-Ukrainian relations – which have imposed airspace restrictions that added to flight times. He also complained about delayed deliveries of Boeing 777-200ER long-haul aircraft. The Ukrainian dominant carrier intends to suspend its fleet expansion plans and concentrate on fleet renewals instead. “We have phased out all Boeing 737CLs so that now our entire narrow-body fleet consists of next-generation aircraft. In the [coming] spring we’re expecting the delivery of three factory-fresh Boeing 737MAXs, but they will replace older aircraft,” Miroshnikov revealed. At the same time, UIA intends to complete the delivery of two Embraer 195 aircraft, an order that has been on hold since last year. The large regional jets will be operated on thin and regional routes, previously served by B737-300s and -500s. Meanwhile, the delivery schedule of a fourth Boeing 777 remains uncertain. “The aircraft was not compliant with contract terms, under several technical parameters, and we are still in negotiations with the lessor,” Miroshnikov explained. In terms of further route network expansion, UIA intends to ease back on this activity too, with the launch of just one new connection linking Kyiv and Izmir in Turkey. Nevertheless, the airline is hopeful of boosting its overall traffic results by eight to 10 per cent through improved fleet utilisation rates and increased seat load factors. 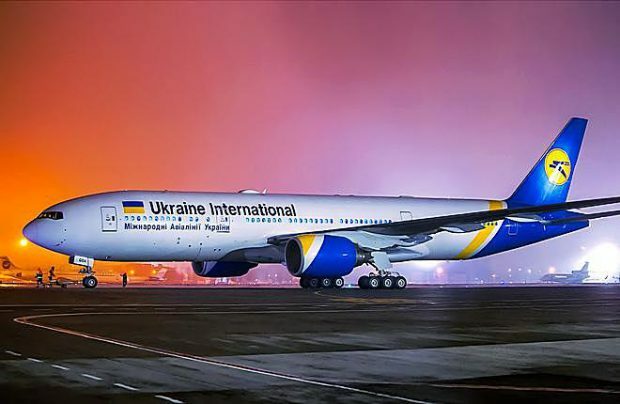 Ukraine International carried more than eight million passengers in 2018. UIA currently operates a 42-strong fleet, consisting of three B777-200ERs, four B767-300ERs, 26 B737-800s, four B737-900s and five medium-haul Embraer-190s.